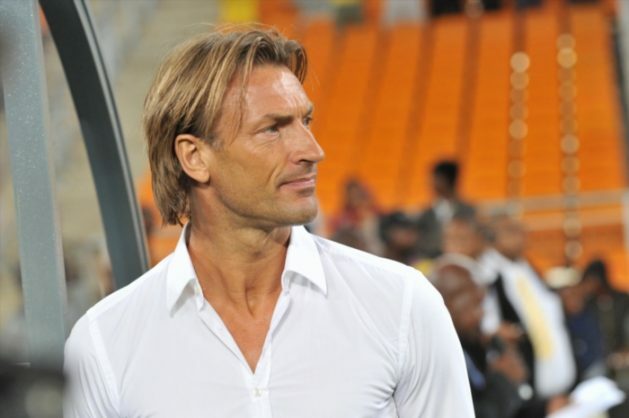 Morocco assistant coach Mustafa Hadji has insisted that head coach Herve Renard is not leaving the Atlas Lions. Renard has been linked with a number of jobs across the continent, including that of head coach of Bafana Bafana, with the South African Football Association expected to make an announcement on their new man imminently. “This is completely wrong,” Hadji told the Moroccan website lematin.ma, on rumours Renard was on his way out of a side he took to the quarterfinals of the 2017 Africa Cup of Nations. Renard remains contracted to the Moroccan team until the 2018 Fifa World Cup in Russia next year.